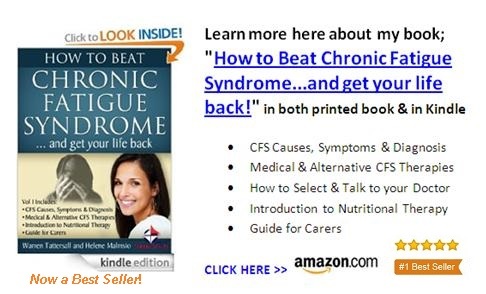 The good news is that here you will learn how to treat Chronic Fatigue Syndrome naturally to get back your life and to really start loving life once again. In this section I'll try to cover everything about common causes of fatigue, diet and supplements guide and exercise tips to fight CFS that worked for me! I have been coping with chronic fatigue since the age of 17 when I had a severe bout of Glandular Fever that I left untreated for too long. Since then for 40 years I have struggled to learn about how to treat this condition and try to prevent the ongoing relapses that occur a few times a year. At its worst 26 years ago, I was bedridden and housebound for 12 months. Compare that to nowadays when at my best, I'm considered to be a "Dynamic" person which is a considerable contrast! It has been a very long journey, but at long last I can say that I have managed to work out the perfect mix for me of balanced lifestyle, discovering the nutrition and supplements that keep me strong, and learning how to enable myself to improve my fitness and enjoy increased energy levels. My first book "How to Beat Chronic Fatigue Syndrome...and get your life back!" covers all of these lessons in great detail, and you can get it on Amazon in Kindle and in Print formats. This book is an Amazon #1 Bestseller and Volume 2 is now available as well, to round out all the experiences we share with you to take control of your wellbeing. And Warren Tattersall and I continued to explain what we had learned about healing our digestive system to get the full benefit of cellular nutrition to help our body heal itself the way its designed to, especially when incorporating superfoods and natural supplements in your CFS diet. But for the time being I'm putting some great information for you right here, so that you can get started on claiming your life back, and learn from my experiences. Your specific needs will be unique to you and your causes of CFS, but here I will give you some generic suggestions to start your self help strategy and trials with. Chronic fatigue syndrome (CFS) is a condition that millions of people have. Chronic Fatigue Syndrome can be as disabling as Multiple Sclerosis, Lupus, Rheumatoid Arthritis, congestive Heart failure and similar chronic conditions. Rather than having one set of symptoms, this syndrome has a variety of symptoms that could be experienced such as exhaustion, headaches, lack of sleep, allergies and frequent aches and pains. When you have this syndrome, it can be hard to accept because of how much it affects your life. CFS is misunderstood. You will often find that your friends and family don't understand chronic fatigue syndrome at all. I describe it as waking up every morning with the worst flu you have ever had, multiplied by ten, and still having to get up and go to work every day. It is an 'invisible' illness, because you look pretty normal, you don't have any broken bones in splints, or bandages, and most people assume that if you LOOK alright you must BE alright. When I say that you will feel exhausted, I don't just mean the "I feel too tired to work today" kind of exhaustion... it is the kind where you are also too tired to ever do any of the fun activities that you used to really enjoy doing in the past. And that is often when the depression sets in. When you are always too tired to see your family, or socialize with friends, or participate in your favorite hobbies and interests that used to make you happy in life. You struggle through every single day doing the 'must do' things, and then you don't even get to enjoy doing some fun stuff on the weekends. You usually sleep through the entire weekend anyway, unless you also experience insomnia as one of your symptoms! While there is some medical intervention and therapy available to help you deal with symptoms, there’s no cure for it, so you will need to learn how to cope with CFS to have the best life possible. 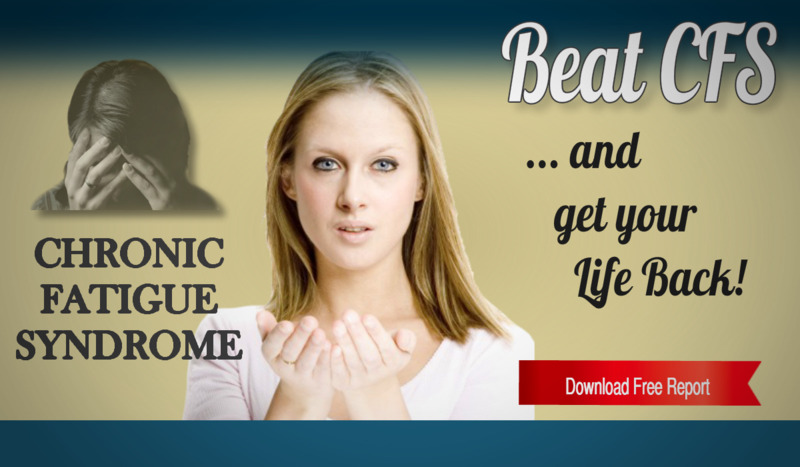 So in this guide you’ll learn how to treat Chronic Fatigue Syndrome using my favorite self help strategies and natural therapies. You may have to adjust your life, but you don’t have to sacrifice having a high quality life filled with joy. 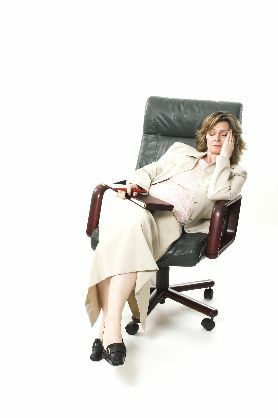 There are so many different common causes of fatigue that they are too much to cover right here. Often the cause is as simple as taking a course of antibiotics, or developing Glandular Fever. In fact, it is very likely that as a teen you will have experienced some degree of a glandular fever chronic fatigue syndrome. But fortunately, most healthy teenagers can recover in a few months if they have a healthy lifestyle, and no other detrimental factors hit them at the same time. My Specialist told me that apart from the original GF virus that triggered my CFS, my blood tests also showed traces of 6 of the most common Flu virus that are also known triggers that cause chronic fatigue syndrome. On top of that there are also many common toxins and allergens that compromise your immune system, whether they are toxic chemicals you handle and or inhale, or ingredients you are allergic to that you are surrounded by like foam rubber, plastics, insecticides, eiderdown, cat and dog fur, dust mites, grass seeds, car petrol exhaust fumes, food allergies, cigarette smoke and so on. When you are already worn down and what you are allergic to attacks you in large volumes, your immune system pretty much just collapses under the pressure. Lifestyle choices, and especially experiencing chronic and or very high stress levels, are also prime causes of CFS. Being overworked and not getting enough rest to recover from daily turmoil is only going to make it harder for your immune system to cope when the next round of Flu hits your town or workplace. Also be aware of the forms of chronic fatigue syndrome children may experience due to taking medication, or eating a poor diet, stress or bullying at school, or from dysfunctional family relations. If your kids are much more tired and irritable than usual, consider if they may have been experiencing some of the above causes. It may be that they need some natural CFS therapy to nip it in the bud. I'll add more information about common causes of CFS in the page directory at the bottom of this page, but for the time being let's look at some of the best natural treatment of chronic fatigue syndrome, and self help strategies for how to treat Chronic Fatigue Syndrome that I know have helped me. When you’re living with chronic fatigue syndrome you can have days when you have high energy followed by days of lower energy. It can be tempting to overdo it when you’re having a high energy day, but you need to learn to pace yourself. When you exert too much energy on a day when you feel good, you can set yourself up to have more low energy days ahead. Instead, you’ll want to reserve some of that energy so that you can have more evenness to your days. You may want to keep a journal to help you realize any patterns of energy in your life. For example, you may notice you have more energy in the morning or evening. You may notice that one day is high energy followed by one or two low energy days. Keeping a journal will help you to understand the way your body is responding to chronic fatigue syndrome. This will help you to plan how you’ll use your high energy days and schedule rest appropriately. Schedule short bursts of activity. When you have a high energy day you may be tempted to spend it all at once. But that can lead to you feeling even more depleted and fatigued. Instead, try to pace yourself by spending about 15-20 minutes of time doing something high energy and then giving yourself at least 30 minutes of recovery time in between. This will help you to preserve your energy for longer. If you know that the morning is a time that you tend to have high energy, schedule those things that require the most energy at that time. When you anticipate having low energy, give yourself a break and schedule down time. You may be tempted to stick to your schedule rigidly, but you may find that you’re unexpectedly low on energy at a specific time. 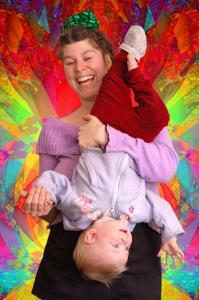 Give yourself permission to be flexible and to change a scheduled event so that you can rest when you need it. Learning time management techniques will also be of great help to you to keep your stress levels lower. Trying to push through when you really don’t have the energy will do more harm than good. Make sure that your calendar and plans for each day aren’t set in stone any more than necessary. You are what you eat as you’ve probably heard all your life. When it comes to learning how to treat Chronic Fatigue Syndrome, nutrition can play an even more critical role in your health. 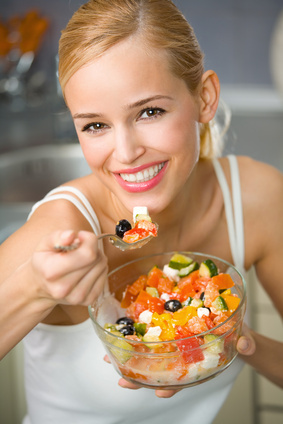 These tips help you work out a healthy diet for chronic fatigue syndrome. 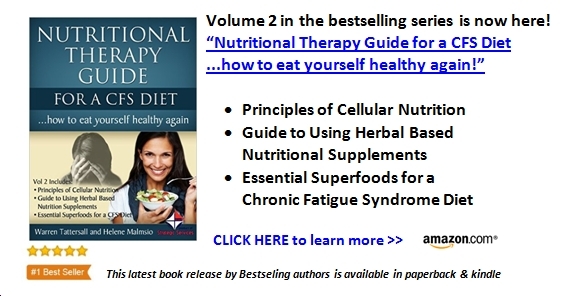 While there is still no permanent product or diet to cure chronic fatigue syndrome, you can certainly improve your strength and immune system by increasing your super-foods intake every day. It’s important to follow some simple precepts when you’re working to cope with CFS. You need to eat all of the nutrients required by your body and that means eating foods from all the foods groups. Avoid any diet that suggests you eliminate any type of nutrients such as carbs or fat. Balance and moderation are the key to your success. Make sure that each day you eat all of the different varieties of food including proteins, carbohydrates, and fats. This helps your cells to function properly. Many foods have things in them that you don’t need such as preservatives and artificial colors. You also should avoid foods that are high in saturated fat. It’s best when possible to eat fresh foods that have been minimally processed. Avoid prepackaged foods that come in cans and boxes as they may have added chemicals you don’t need or want. Foods that are deep fried or high in saturated fat can also affect you negatively. Not only will they cause your CFS to feel worse at times, they can also cause you to have problems with heart health. Refined sugar is another ingredient you want to limit. This is white or brown sugar that you find in sweets. While having a small amount may not affect you too badly, many people choose to eliminate it. I try to eat a raw food diet where possible, but I find it too hard to stick to a 100% raw diet at this stage of my life, but who knows, maybe one day I'll be a raw foodie! While many people use caffeine as a stimulant to help them wake up each day, people with CFS should avoid it. In the mornings I used to get Coffee and a Doughnut on the way to the office to try and wake me up. Caffeine, fats and sugars were my daily diet, in a desperate attempt to find quick sources of 'energy' to get through the day. And then I couldn't sleep at night even though I was totally exhausted, to the point of being too over-tired to be able to sleep. While it seems strange that people who have a lot of fatigue also have trouble sleeping, this is true if you have chronic fatigue syndrome. Eliminating caffeine can actually help you to get better sleep and have more energy. If you just have to have that cup of coffee, try decaf. Better yet switch to something like herbal tea. You can also adjust to decaffinated tea leaves if you need your daily cup of tea. Fruits and vegetables contain important vitamins and minerals that you need for good health and energy when working our what is the best chronic fatigue syndrome diet for your recovery. Aim to eat at least five servings of them each day. And eat them raw when possible, to maximize the nutritional value of them without processing. When you eat a meal, look at your plate and observe the colors. Aim to eat meals that have a variety of different colors – that’s a great way to see that you’re eating a wide variety of nutritional vitamins. These diet tips are all ways for you to try when finding out how to treat Chronic Fatigue Syndrome. While you don’t want to overdo it with supplements for chronic fatigue syndrome, there are some that can really improve your health and quality of life. You don’t waste a lot of money or want to be popping pills all day long, so be judicious and take only those that are most important for you. Vitamin C is critical for helping your immune system and can help you to have more energy. While your body uses vitamin C best when it comes from foods like oranges, a supplement can help make up for what your diet may lack. You can take quite a bit of vitamin C without harming your body. It will naturally get rid of the excess. If you’re not sure how much is right for you, visit with your healthcare provider about it. Vitamin E is an antioxidant. You may have used it before to help heal skin and prevent scarring. But what people don’t know as much is that it also improves immunity. When your immune system is working well you also have more energy. Vitamin E comes naturally in foods such as avocado, nuts, and vegetable oils. But you can also take a supplement to help boost your body’s levels. 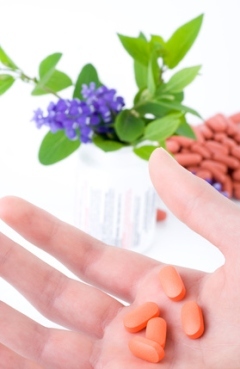 You may have noticed that zinc is a common ingredient in homeopathic cold medicines. It can help to boost your immunity and make illnesses shorter in duration than they might have otherwise been. Zinc can help your body to fight chronic fatigue syndrome and help you to feel better. You can find it in foods such as red meat, nuts, and seeds (such as sesame or pumpkin). But if you don’t get enough, you can always take a zinc supplement to get the recommended daily allowance of it. At the moment I have started taking extra vitamin D tabs as there was quite some discussion recently about how powerful an effect it has on you if you are low on this. And as a vegetarian, even though I eat the occasional chicken egg, and take dairy products daily, I suspected that I might be low in it during this long winter. So I have added it to my daily regimen, and so far I think it is helpful to me, so consider trying that out for yourself too. While the nutrients listed above are critical, there may be other vitamins or minerals that you lack. Pay attention to your diet and determine if there’s something missing. For example, as mentioned above, many people have a deficiency in Vitamin D or iron but don’t know about it. You should also go to your doctor to find out if you’re deficient in any critical nutrients. If your diet doesn’t contain what you need, supplements can provide it for you. In my case, I was fortunate to have someone suggest I try out the Herbalife range of nutritional supplements, and they have worked for me better than anything else I have tried, and I have tried them all. When you have chronic fatigue syndrome it may seem like exercise is the last thing you should do. After all, you’re feeling tired and weak. But research shows that exercise can actually help you to have more energy and that resting too much does the opposite. Choose the Right Type of Activity. You don’t need to work out to the point of exhaustion or pain when you perform activities suited for chronic fatigue exercise. Instead, when you have chronic fatigue syndrome you need to look for light activity that can give you benefits. Good choices include walking, swimming, and bicycling. You’ll want to avoid things that are too strenuous – especially early on in your exercise program. 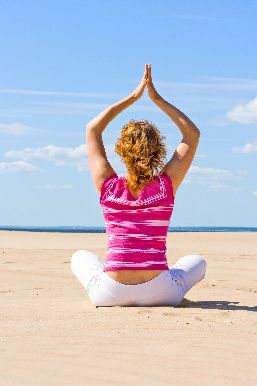 You could check out if gentle Pilates or Yoga could suit you even if you are totally unfit and out of shape right now. Light activity is best for your body. It’s important not to try to overdo exercise when you have chronic fatigue syndrome. You may be tempted to do too much on days when you have energy and avoid it when you don’t. Instead, you should make a plan to exercise every day even if it’s for just a short time. For example, make a goal to exercise for five minutes for a week. Even if you have energy to do more, stick to the five minute plan. Then, after a week if you feel like the five minutes is going well you can add two or three more minutes. Eventually you’ll get to a point when you’re exercising for longer periods of time, but your body will be conditioned to do it. I started with a simple routine of spending 30 minutes every day out in the garden. I get some sunlight and fresh air, stretch my legs a bit, and even if I only stand around with the hose watering my pot plants, it is MOVING more every day than I was before. You just need to start somewhere, however undemanding it may be. If you move more every day than you did before, you will have made a start! When it comes to chronic fatigue syndrome exercise, you need to keep a schedule. If you know that the mornings are the time of day you have the most energy, exercise in the morning. Exercise as consistently as possible at the same time each day. This helps your body to get used to the program. When you keep your schedule you’ll have an easier time sticking to your routine. If you’re having a tough time with exercise, you may want to speak with your doctor about getting some help. A physical therapist can help you to create the most appropriate exercise program for you. He or she can also help you to work out any aches or pains you may be having and help you to get strength and flexibility in the right areas of the body. Having professional help can be one of the best ways for you to come up with a proper exercise plan. Exercise can be particularly tough when you have chronic fatigue syndrome. It may be frustrating when you can only exercise for five minute at a time. But be patient with yourself. It takes time to build up to more, but you’ll eventually find that exercise becomes easier. And the more you do it the better you’ll feel. Remember to always maintain a suitable Mind Body Spirit balance to maximize your results. Regular exercise really can be a healing force for your body, and is one of the surprising natural cures for chronic fatigue syndrome. Another critical aspect of how to treat Chronic Fatigue Syndrome is seeking support. Support comes in different ways and you need to make sure you take advantage of as much as possible to help you better cope with CFS. Look for a local or online support group. Talking to others who are going through your same situation can help you immensely. You can understand more about the symptoms you’re experiencing and get ideas for how to improve your health. Having a chronic illness can make you feel like you’re alone. It can be very comforting to find out that you’re actually part of a larger community of people who are going through similar things. Sometimes well-meaning families can actually make things worse. It’s important to teach your family about what chronic fatigue syndrome is and how it can affect you. It’s also good for you to give your family ideas for how they can help you. Instead of pressuring you to do things that will ultimately be bad for your health, you can give them ideas of how they can support you in meaningful ways. For example, they can take on more household responsibilities such as cooking meals and cleaning house. 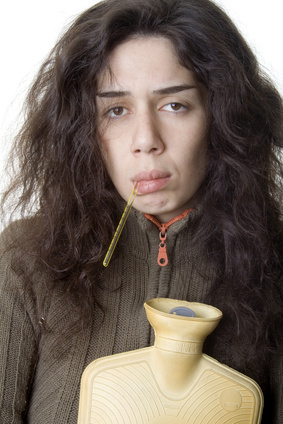 It can seem difficult to stay a part of your social life when you’re not feeling well. But work to make sure that you’re not becoming completely isolated. This can make a difficult illness even worse. Schedule regular time to spend with friends even if it’s just talking on the phone or meeting for dinner from time to time. You don’t have to go out every night or every weekend, but do try to make time for friends and fun. With chronic fatigue syndrome, you may feel like you’re not able to do a lot of things you want to do. But rather than giving up on all the extra things you enjoy, it’s a good time to choose hobbies that work for you. Hobbies such as reading, crocheting or knitting, growing flowers, or making models can all be done with little physical effort. You may find that these activities bring joy into your life in a way that helps you to feel more fulfilled. It may feel like a real struggle when you first start to do the things you used to enjoy so much in the past, but it is worth making the extra effort. Seriously, since stress is one of the most common causes of chronic fatigue and since it is something that you can learn to manage better, and in some cases eliminate, you would be silly to not make the effort to learn how to do it! I have started a section on the site here about how to manage stress, and I have also published a very, very comprehensive guide to teach you step by step how to do it, so make that investment in yourself - please! It is essential that as you are learning what works best for you and what doesn't, that you stay patient with yourself and don't let yourself be pushed into stretching yourself too far too fast. Remember that there is no cure right now, just better coping mechanism to get you through your day. Recovery is a never-ending journey. For instance, in my case I find that I go through a mini-detox every 90 days or so. This means that for about a week or so I feel sick, exhausted, have aches and pains and feel very depressed. This can be a very unsettling process, since you are just starting to feel 'normal' again and begin to think that you are 'recovering' when suddenly the floor falls out from under your feet. So be prepared for this phenomenon, and don't let yourself get frustrated when these 90 day cycles hit you. You are not failing. You are getting better, but it is a bit of a two steps forward and one step backward process. You do eventually get ahead, but it takes time and effort. It is a bit like peeling an onion of all the layers, if you have been affected by CFS for many years or decades even. Each problem that triggered it initially was then compounded by your low immune system being unable to fight other viruses and toxins that your body has to deal with over the years. So each of these triggers made you feel worse, and your body could not fight off the Flu's and Allergies, and effects of chemically laden foods, and the stresses that most people can bounce back from instead linger in your system, forcing more and more toxins to be released and retained in your system. Each time your body recovers some strength in its immune system it tackles one of these latest triggers and its resultant toxins and cleans it up. But it takes years for each of these to be cleaned up in the 90 day cycles. And if you experience extraordinary illness or stress that is outside of your control, you will fall into a downward spiral that will shock you with its devastation! For example, recently my dad experienced severe illness and I had to support him through hospitalisation, driving many hours commuting to and fro for treatments and surgery, and being a full-time carer for him. This went on for 90+ days and I wore myself down to the bone. But I was nonetheless totally unprepared for the devastating and lingering effects on my health! I was bedridden for 5 months as a result. The problems were compounded by rheumatoid arthritis, and a calcified tendon in my hip, but the main damage was done to my precarious balance of coping with CFS. I was back to where I had been 12 years ago, and to ten years before then... both were times when my CFS was totally out of control and made me bedridden for months. But I knew that with bed rest, and with following the steps I share here and in my book, that I would eventually get back to my old self. And that is DYNAMIC! Keep Learning and Trying New Strategies - and Stay Optimistic! So try everything, keep doing whatever works best for you, and stay optimistic that even at the worst times you can trust that you WILL get back to some degree of normalcy with persistence and determination. Learn to love yourself, learn to meet your own needs, learn to not be embarrassed by this 'invisible' disease that others can't understand, and believe in yourself and your recovery! Below here I'll be featuring products as I find them that are useful, as well as adding more article pages with helpful information and tips about chronic fatigue syndrome and how to deal with it naturally wherever possible. If you also have to deal with CFS and have some tips you want to share, please tell us about them in the submission box below. I would love to feature your experiences here too! As well as the book being published to help people beat chronic fatigue, I am also publishing a few sets of CFS PLR article packs that you may want to get hold of if you are a blogger specializing in this particular health niche subject. There are some great PLR content packs being posted below here that will truly help your SEM and SEO campaigns! Are There Any Effective Chronic Fatigue Treatments? Do You Say That You Have Myalgic Encephalomyelitis Or Chronic Fatigue Syndrome?